Bernard Cheong Doctor Watches Life: I wish to purchase a 1999 IWC DaVinci four seasons tourbillon, my offer is $70,000 cash in usd. Condition of watch must be "reasonable". 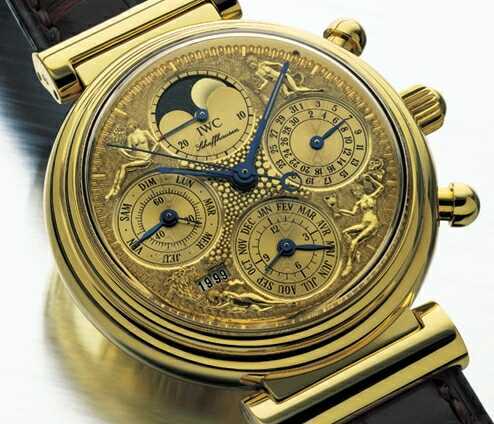 I wish to purchase a 1999 IWC DaVinci four seasons tourbillon, my offer is $70,000 cash in usd. Condition of watch must be "reasonable". Solid gold dial, engraved by IWC master engraver Wolfgang Siegwart, features four allegorical figures representing Spring, Summer, Autumn and Winter. The test tube with year change MUST be present, and so must the box, and most papers. I will pay CASH. In Singapore. NO 34, 44, 24, 14 should be in the numbers of the watch's serial. I have a thing for engraved watches, good choice! I know of a white gold model in excellent condition. Box is missing.